Pearl and Crystal Coil Wrap Bracelet, delicate piece made of gold plated chain intertwined with 3 rows of Swarovski pearls and crystal alternated. Love Bracelet length: 19 cm/ 7.8" approx. Pearls and crystals: 5 mm. 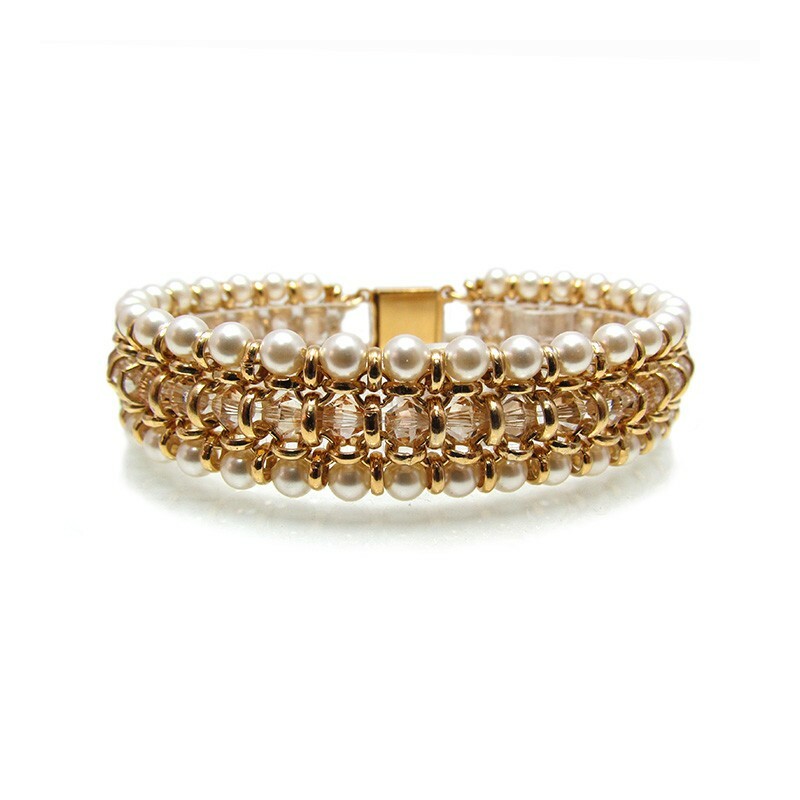 The Pearl and Crystal Coil Wrap Bracelet is a special piece for a bride or gift for someone you love.